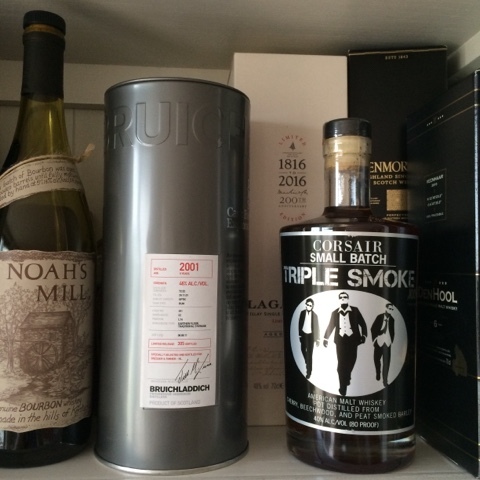 My order of Corsair Triple Smoke 100% malted barley artisan whiskey from the USA is in! Ordered it at luxuriousdrinks here in the Netherlands. 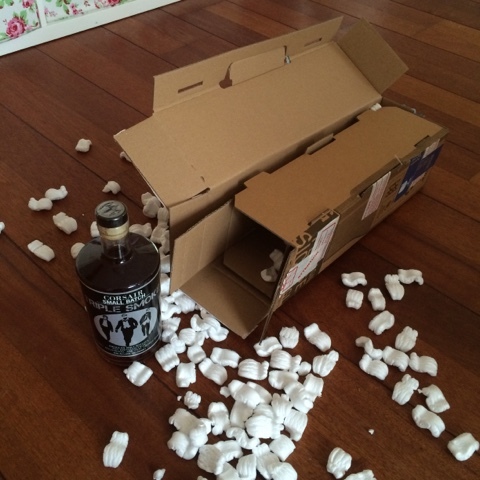 The box is excellent quality and it sort of wraps itself around the bottle. Ones open the empty space is filled with Styrofoam stuff that protects the bottle from moving to much. 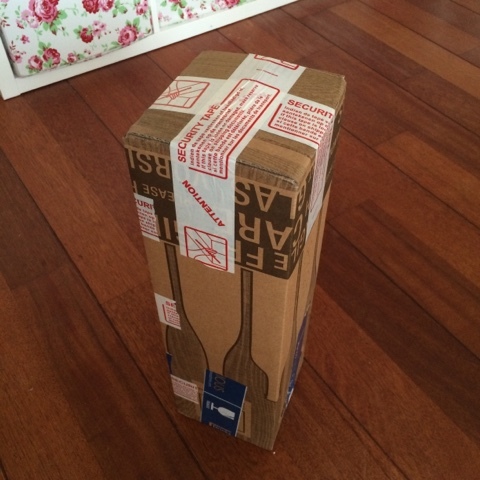 Here you can see how this box seems to be something of a jigsaw puzzle. 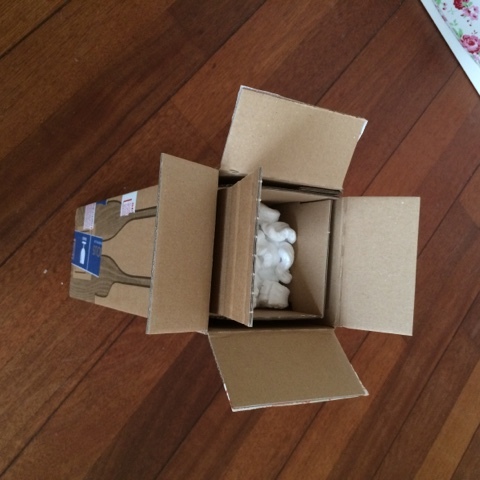 Ones the bottle is out you can use the box again for shipping stuff out yourself. I plan to cell some bottle myself, so this will come in handy! 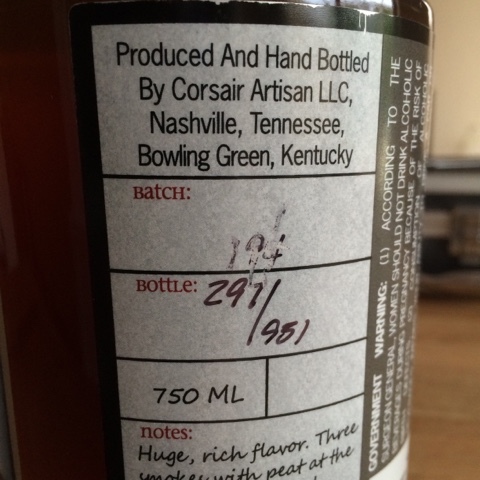 The bottle was damaged in some places and somehow the batch number was the thing to go first. I'm hoping corsair will know which batch this is based on the number of bottles. Will put up a tasting blog later! For now it's sitting pretty to some of my other bottles.